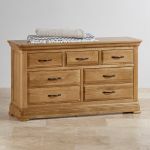 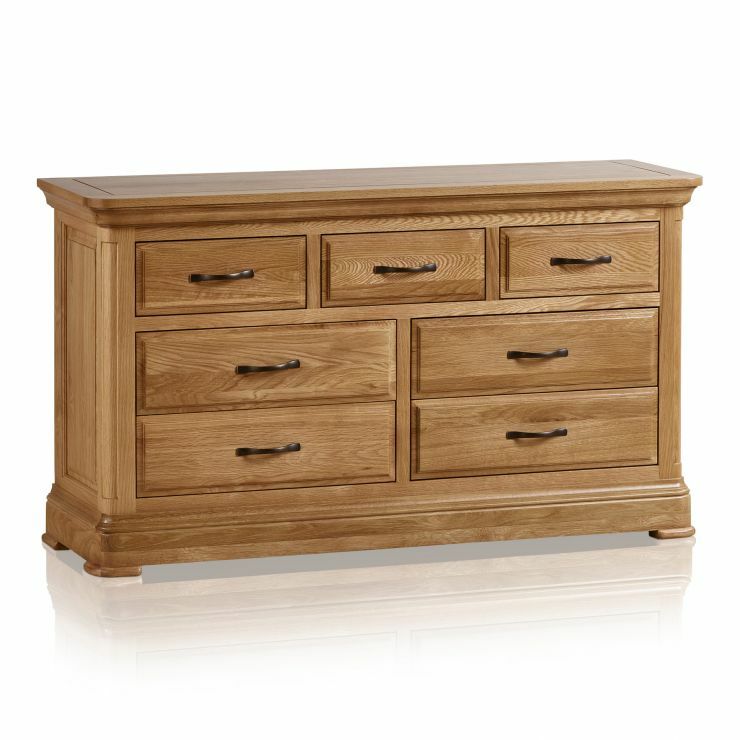 We've designed the Canterbury wide chest of drawers to our high quality standards. 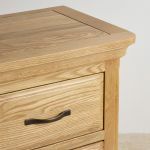 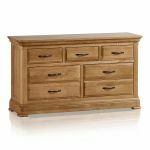 Using only the best solid oak timbers with a protective natural wax finish, this piece is designed to stand the test of time, with the style to match. 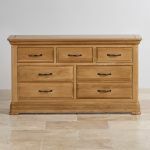 Inspired by classic furniture design, this chest features flared cornices, rounded corners and a deep pedestal base. 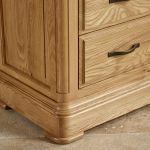 The bright finish to the hardwood gives a modern twist on the traditional style. 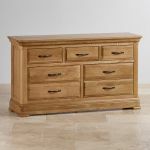 The drawers use only solid oak throughout, even the bases, runners, and backs. 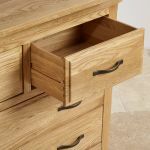 We never use inferior materials in our products. 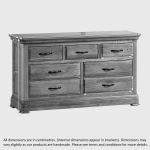 Finished with durable real dovetail joints and antiqued dark metal pulls, the drawers add extra elegance to this piece, ideal for the bedroom or home office.